Not feeling like writing a 50K-word novel in November? No problem! There are several alternatives to National Novel Writing Month (and becoming a NaNo Rebel is actually one of them). Read this ebook on Wattpad. Are you NEW to Second Life? CLICK HERE. All Second Life snapshots published on this blog were made in accordance with Linden Lab's Official snapshot and machinima policy. Also, all materials that are not in the public domain published on this blog - texts and pictures - are copyrighted and should not be used without written permission from their authors. 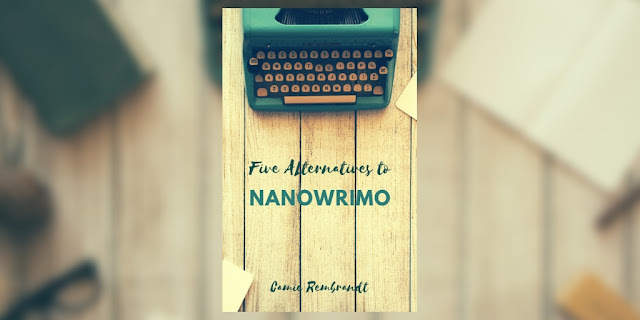 Camie Rembrandt is a NaNoWriMo participant and SL user. This blog is not affiliated either with NaNoWriMo or the virtual world Second Life. © 2013-2018 Camie Rembrandt. All rights reserved. Simple theme. Theme images by hdoddema. Powered by Blogger.